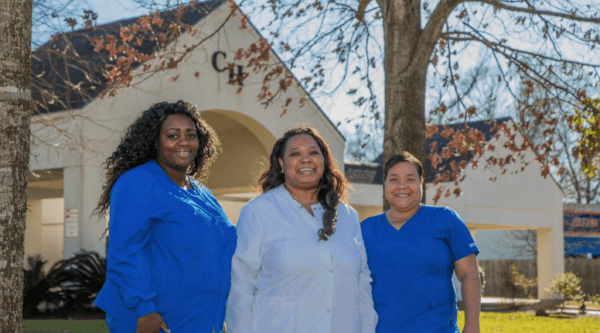 At Baton Rouge’s Capitol House Nursing & Rehabilitation, our compassionate healthcare professionals welcome patients into a warm and familiar environment. Our residents become part of a lively community that celebrates each day with hope, leaving residents proud to call Capitol House their home. And we’re equally proud to consider our residents part of our family. Capitol House provides 24/7 care for each and every resident. Our residents are a family and our facility is a home. Through The Carpenter Health Network’s continuum of care, Capitol House Nursing & Rehabilitation provides specialized care according to individuals’ evolving needs. From short-term rehabilitation to long-term care, our team is available around the clock to assist with everyday needs and provide emergency support when necessary. Mid-day or midnight, our residents can rest assured that a compassionate caregiver is always nearby. Putting our residents’ comfort and happiness first at all times, we take every measure possible to make our residents feel right at home. Each resident’s room includes a manual or electric hospital bed, nightstand, bedside table, and closet space or armoire with drawers. Each room shares a vanity and restroom with the adjoining room. Skilled care: Our skilled care unit is a warm, inviting space for residents who require 24-hour nursing assistance. In this environment, patients can continue to feel at home even as their level of care increases. Aggressive wound care: Our dedicated wound care nurse is available daily to treat, manage, and cure wounds. Ventilator management: Capitol House is the only nursing facility in Baton Rouge that provides a respiratory unit dedicated to ventilator management. For the ventilator-dependent residents who rely on Capitol House as their long-term care partners, we provide technical, skilled respiratory services and nursing care to meet the intense level of respiratory needs. Whether you’re facing complex, acute, or chronic respiratory conditions, we can help. By working with Sage Rehabilitation & Outpatient Services, Capitol House also offers both long-term and short-term rehabilitation as well as therapy services that help patients return to their highest levels of function and increase their quality of life. Short-term rehabilitation offers care and rehabilitation services to help patients return to the comfort of their homes quickly, safely, and confidently. Provided by rehabilitation specialists, short-term rehabilitation lets patients continue recovery from the hospital stay with transition to home as soon as possible. The short-term rehabilitation team continues to treat their medical and rehabilitative needs. Long-term rehabilitation offers the same rehabilitation services as well as restorative nursing to help patients maintain their current lifestyles and independence. Home health can be arranged to fit the needs of the patient during their stay at Sage Rehab Unit at Capitol House. This service ensures no break in rehab services that could set the patient back in meeting treatment goals. Wondering how rehabilitation services can benefit you or a loved one? Call us today at 225-275-0474 to schedule a tour and for more information on all of your care options.